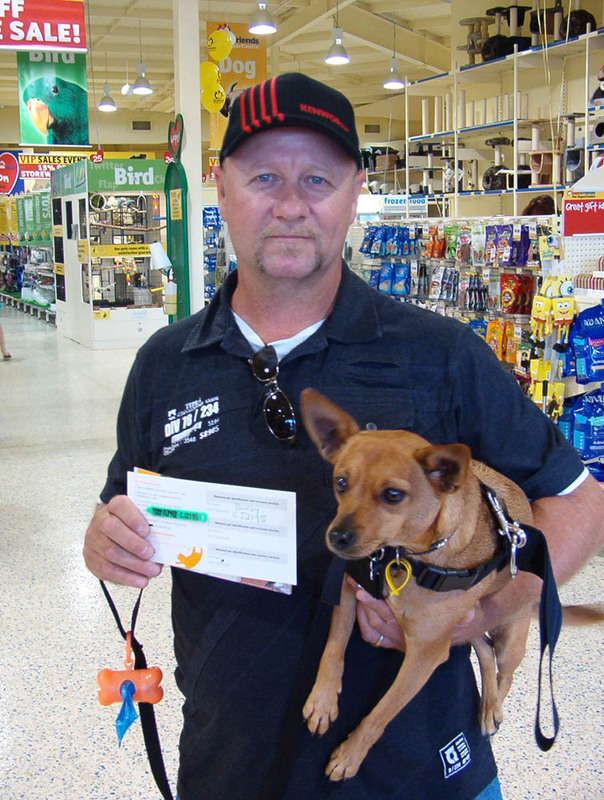 The Home’s National Pet Register Queensland team helped make sure more dogs and cats were identified this Easter at Best Friends Pet SuperCentre in Helensvale. As compensation for not being able to eat any chocolate eggs over the long weekend, the Best Friends Pet SuperCentre store threw a huge Easter celebration for all pooches and kitties last Saturday. Offering a fantastic 15% off all products storewide, pet owners were welcome to bring their four-legged friends along for the day and browse the endless selection of toys and accessories. The Easter Bunny made a surprise appearance, causing confusion amongst the dogs who wondered who the giant white fluff ball was. Kids were entertained with face painting and balloon animals, and it was free Easter eggs for all the humans! But don’t worry, the dogs didn’t go home empty handed either. The National Pet Register (NPR) also helped out on the day and handed out 45 free ID tags. The free service is responsible for reuniting approximately 300 lost pets with their owners every week and the NPR used the opportunity to make sure all of Best Friend’s furry customers were able to be identified in future. “The more pets that can be identified, the more dogs and cats that can be returned home should they ever become lost,” National Pet Register Manager Kate Hoelter said. Kate also pointed out that a pet’s identification is only effective if the registered contact details are up to date. The Lost Dogs’ Home has enjoyed a wonderful partnership with Best Friends since 2008, and in that time the Victorian stores have been responsible for adopting close to 1,000 of the Home’s cats and kittens into new homes. Best Friends also sponsor The Lost Dogs’ Home’s ambulance service, which operates 24 hours a day, 7 days a week to rescue lost, injured and dumped animals. The National Pet Register will be attending and handing out free pet ID tags at another Best Friends event this Sunday, May 1st at the Point Cook store on Dunnings Road, Point Cook Town Centre. The event is part of the Wyndham City Council Event ‘PAWs around the Point’ and will be held from 10am to 1pm. For more information, visit www.wyndham.vic.gov.au.